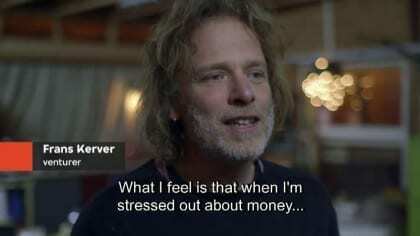 We started crowdfunding the first Dutch Basic Income on April 12th, right after the airing of VPRO’s Tegenlicht documentary dedicated to Basic Income. Our aim was to collect €12,000 before June 1st. With the help of more than 500 supporters we did even better. We reached our goal on May 27th, and the consecutive media storm not only fueled more donations but also gave room to even more interesting discussions regarding the need for experiments in this area. Coverage from national newspapers like the Volkskrant (a full page 3), high profile online news sites like RTL-Z and radio-coverage (NPO Radio 1) helped us along nicely. The Netherlands have finally awoken to the subject of the Unconditional Basic Income! To quote RTL Nieuws, we “struck a nerve in society”. On June 1st, we closed the first campaign-phase and moved right along to the next phase: crowdfunding the second @OnsBasisinkomen Basic Income in the Netherlands. Fueled by the additional donations, that second phase is off to a flying start: more than €2,000 have already been pledged. As soon as the second €12,000 has been reached, we will perform a supervised raffle and select a beneficiary from the more than one thousand people that have applied via our website. Will we reach that second Basic Income in less time than it took to reach the first one? Time will tell. Logically, we are in contact with BIEN’s affiliate network in the Netherlands, the Vereniging Basisinkomen. I became a member as well. An institution that has worked tirelessly for 25 years towards the same goal is an example of perseverance. It provides a common ground beneath all separate actions and prevents ideas from floating off in space without action. You can consider @OnsBasisinkomen to be the little engine that helped create an acceleration. That belief made me take on this challenge. It would only be natural to complement what has been achieved so far with an even swifter second Basic Income in The Netherlands. Do not hesitate, support @OnsBasisinkomen!